The BlackBerry Priv is the first Android smartphone from BlackBerry, we recently saw some official renders of the handset and now we have some more information on its specifications. We previously heard that the Priv would feature a 64-bit Qualcomm Snapdragon 810 or 808 processor and now the guys from N4BB have confirmed that the handset will have a 64-bit processor. There were rumors that the BlackBerry Priv would come with either a 16 megapixel or 18 megapixel camera, this has now been confirmed as an 18 megapixel camera. The camera on the Priv will be capable of shooting Ultra HD video in 4K at 30 frames per second, the camera will feature Schneider Kreuznach optics. 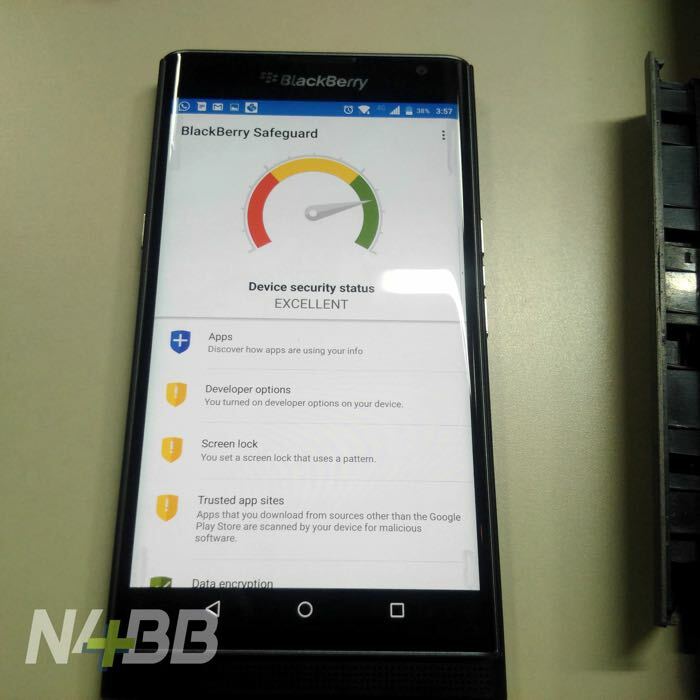 BlackBerry will be advertising security and privacy as some of the main features on the device, it will come with a new app called BlackBerry Safeguard that will show the security status of your handset based on its settings and what applications are installed. Previously we heard a number of other rumored specifications for the handset, these included a 5.4 inch display with a Quad HD resolution of 2560 x 1440 pixels, the handset will also come with 3GB of RAM. The front camera on the new Priv will apparently be a 5 megapixel unit and the device will come with Google’s Android OS, as yet it is not exactly clear which version of Android it will feature. 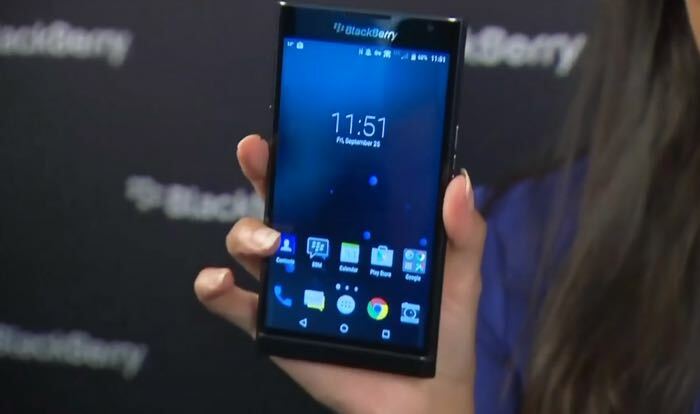 BlackBerry are expected to launch their new Android smartphone next month, we are expecting some sort of official announcement from the company later this month.